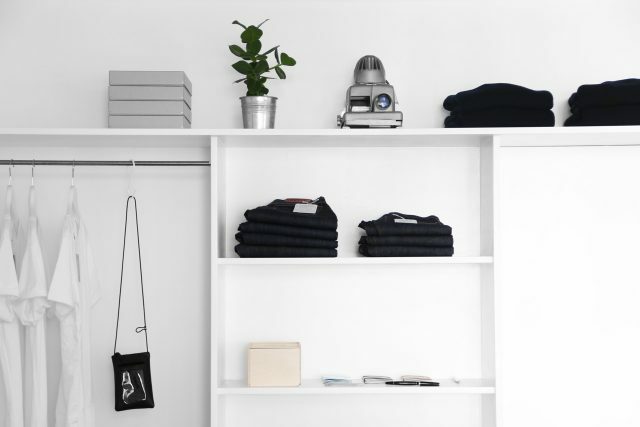 First worn by soldiers as an undershirt in WWI, the white t-shirt has come a long way from its functionalist roots. 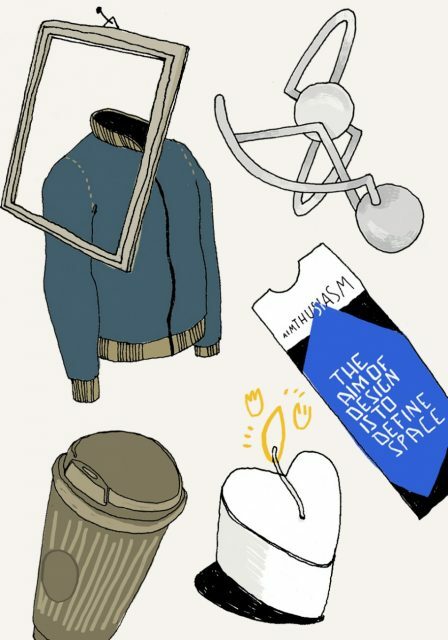 Today, the basic garment is popular in both fashion’s maximalist and minimalist closets, and is considered by many to be the archetype of casual wear. With its understated integrity, it serves as primer in layered, more sophisticated looks, as well as the key piece for those who keep it simple and abstain from recognizable labels and seasonal trends. Nevertheless, one young fashion designer by the name of Hermione Flynn is of another opinion. Flynn believes that when a simple white T is branded, its pureness is somewhat compromised. 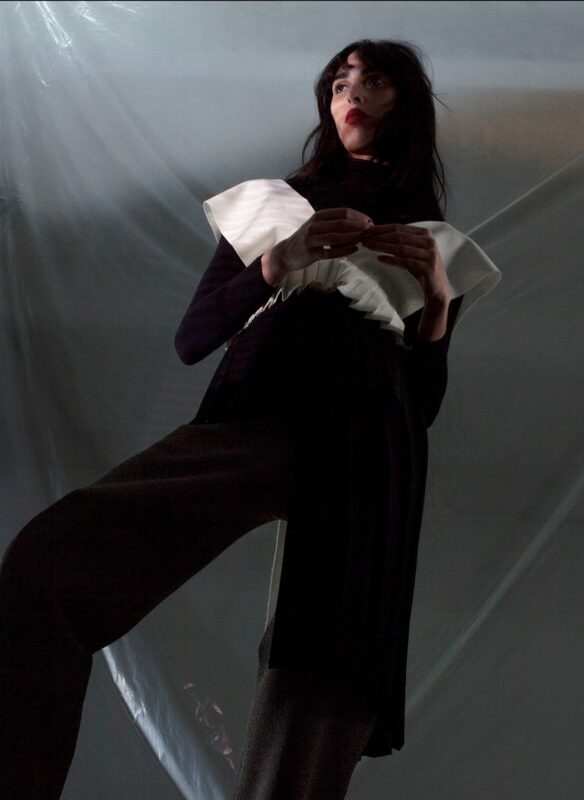 The 30-year-old fashion designer from New Zealand, known for her conceptual work and deconstructive approach, started her brand as a women’s label, but has been drifting towards men’s wear, or rather towards unisex garments by actually placing women’s clothing on men. With a background in performance art, Hermione Flynn is often inspired by cutting-edge matters such as gender and social context. 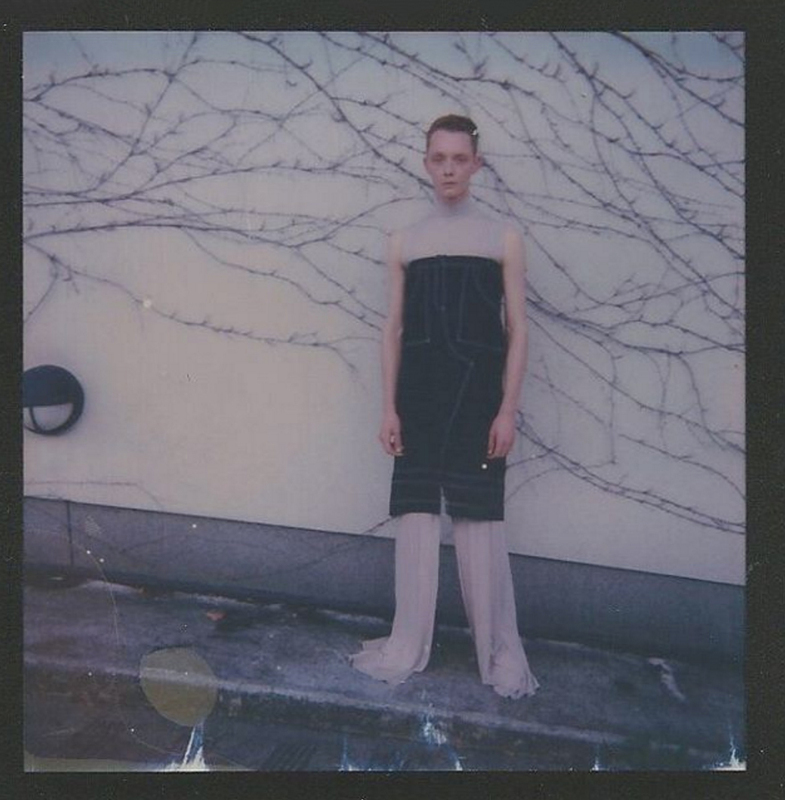 In her recent collection, “C + B” (C+B = C(ock) + B(alls) = C(ocktaildresses) + B(all gowns) for men), she addresses the boundaries of men’s wear with pieces that identify with regular men’s attire from afar, but under closer inspection, reveal themselves as skirts and dresses. 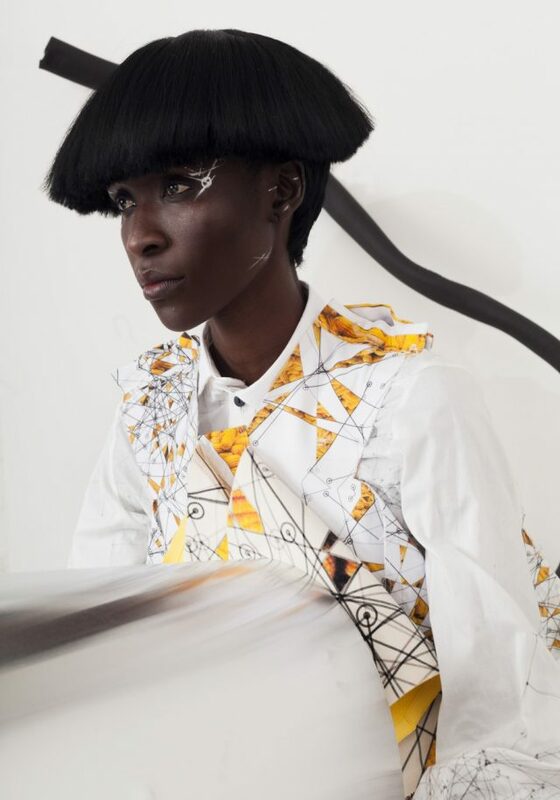 The designer who is famous for displaying her designs in unpredictably ingenious and provocative ways also approaches fashion as an artistic medium. During Berlin’s Bread & Butter she staged’ an irreverent fashion performance, which commented on the branded white T-shirt controversy. 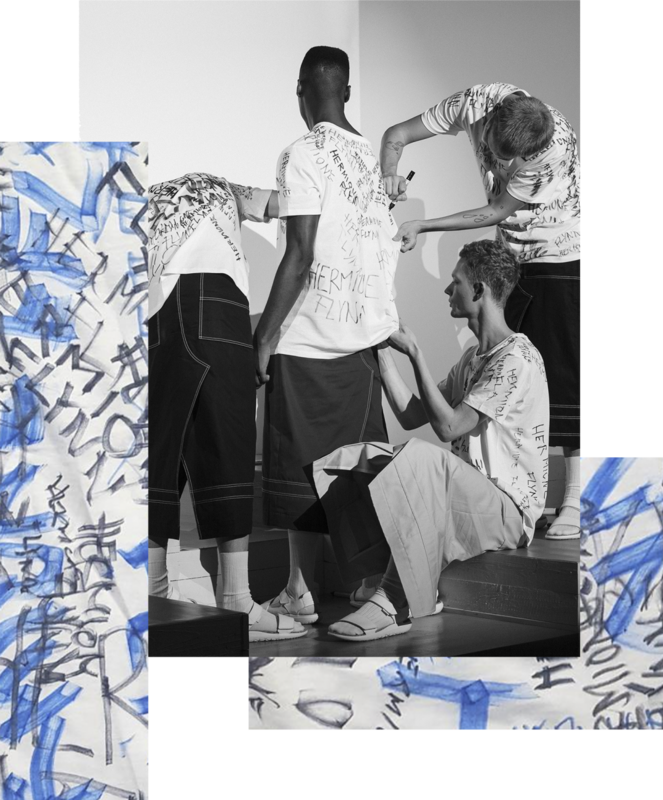 Not far from the official runway set-up, four male models wearing bottoms from the C + B collection paired with crisp white tops, are moving and interacting with one another’s T-shirt by repeatedly spelling Hermione Flynn on it. Œ Magazine: Why are you interested in the white T-shirt? Hermione Flynn: I’m concerned about the types of clothes that men have available to them and have been thinking about why boys shouldn’t be wearing skirts, cocktail dresses, or other typical female clothing. So I was looking at a lot of men’s apparel and realized that one piece it strongly relies on, is the white branded T-shirt. Everywhere I looked, even in the edgier stores, the Gosha Rubchinskiy T-shirt for instance, was all over the place. I guess that’s how the branded T-shirt became a symbol of how restrictive men’s wear can be. But even generally speaking, when the branding of a garment is exaggerated, it turns into this wired uniform and limitation, so I wanted to comment on it—a mockery really, where the branding becomes excessive. And given the nature of this major branding event, Bread & Butter, seemed like the perfect context. Œ Magazine: In addition to being a fashion designer you are known for challenging your models with uncommon performing tasks. Why do you reject the standard runway concept? Hermione Flynn: Something I find frustrating about sit down performances is that you are socially locked down in the moment and I rather want people who look at my work to be able to come and go as they please. Furthermore, I trained in performance art so when I think of ways to exhibit fashion, the cat walk feels a little outdated. There is so much more potential, which is why I like working with endurance installations. Œ Magazine: What is an endurance installation? Hermione Flynn: It’s a performance involving exhaustion on some level, sometimes pain. It’s usually spread over a fairly long period of time. Œ Magazine: Are these trained models or performers/dancers? 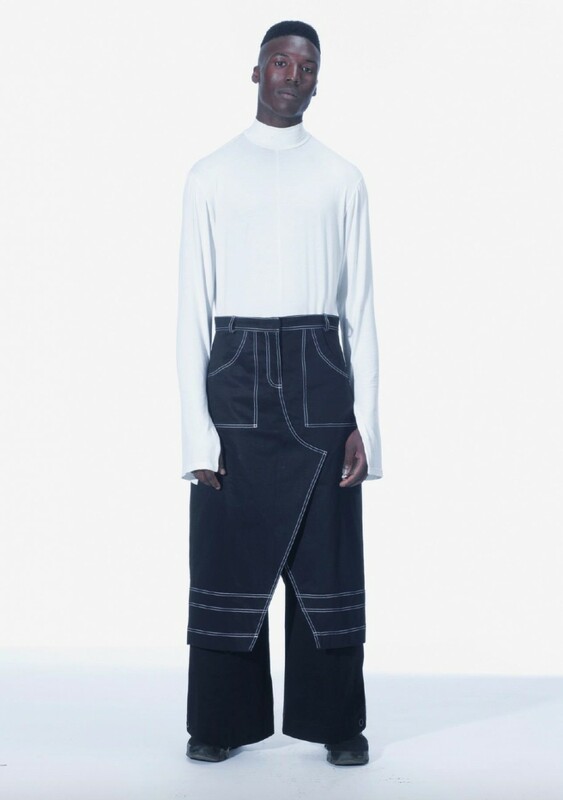 Are the models improvising? Hermione Flynn: They are models, except for one maybe. And yes, it’s an improvisation. I told them, ” feel free to try things out and move each other’s bodies around if you need to access a different part of the T-shirt.” They go on like this for about an hour until the T-shirts are all covered in writing, ultimately exasperating the task. Œ Magazine: So that’s how the blank canvas becomes a restrictive uniform! A performance that involves models improvising with their bodies is also an interesting way of allegorizing the fluid understanding of gender in unisex clothing. In your opinion, what are the advantages of presenting fashion through a performance of this sort? Hermione Flynn: I feel like models that grow up doing standard runways become unable to show their more human side. Fashion is an experience and I want my spectators to feel socially involved in the performance and connected to what they are seeing.